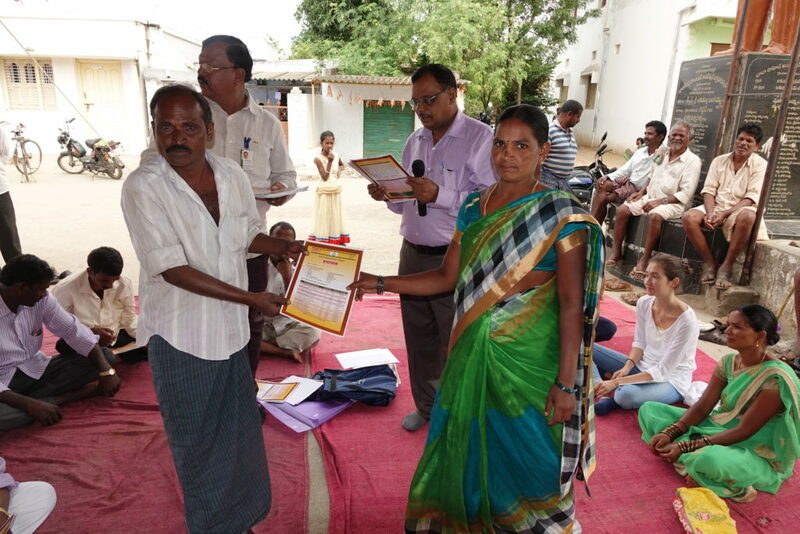 Farmer receiving his Soil Health Card from Village President Ms Kalamma. 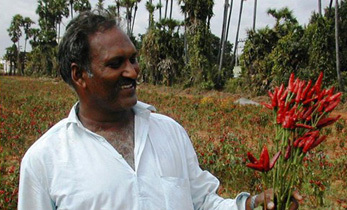 Hyderabad, India (19 July 2016) ― Through a combination of government and Corporate Social Responsibility (CSR) projects, Telangana State is starting to see a rise in soil health initiatives – one key component to making farming profitable. 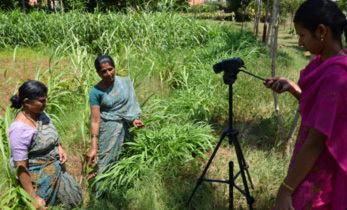 The International Crops Research Institute for the Semi-Arid Tropics (ICRISAT) coordinated the soil testing right down to individual farm level identified by the Geographic Information System (GIS) coordinates and including micronutrients – this level of detail is rarely undertaken. 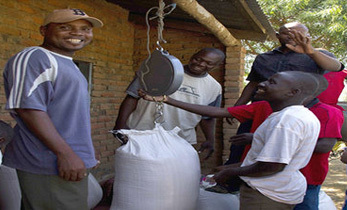 The farmers were trained on collecting their own soil samples. 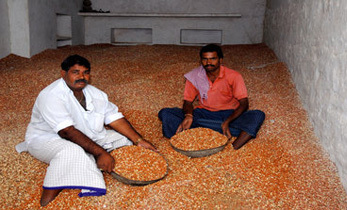 Soil nutrient deficiencies were then identified in ICRISAT laboratories and fertilizer recommendations given separately for 16 different crops (ranging from paddy to millets) for individual farmers. As a result each farmer has their own Soil Heath Card. This saves the farmer money by not over fertilizing as well as maximizing yields. 79 farmers in Naganpally village received their Soil Health Card and individual fertilizer recommendations today. The next steps will be to conduct on-farm trials to show the yield gains and net profits. This was part of the CSR of Ramoji Foundation in two villages. Other villages have been helped through CSR of SABMiller (10 villages) and Asian Paints (6 villages), and with the Medak Collector (20 villages). Karnataka is the first state to have achieved soil micronutrient mapping at farm level across the whole state. This was published in a Soil Fertility Atlas by the Government of Karnataka and ICRISAT five years ago, and is currently the only state to have achieved this. Many areas collect only macro nutrients at only the district level. 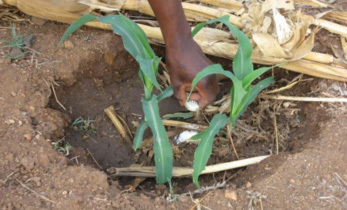 The precision of this soil nutrition will mean more accurate recommendations for the farmer. The initiative with farmers was monitored and recorded to lead to 20 to 66 percent productivity gains over all districts. “Soil heath cards are one key step in a holistic approach. 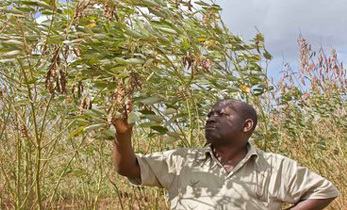 ICRISAT has a strong belief in a holistic approach, as any one intervention will only deliver its full advantage when all part of the value chain are also developed. Typically this includes watershed management, access to seeds of improved crop varieties, integration with livestock, on-farm practices including water use efficiency, links to markets, processing and agribusiness,” said Dr Suhas P Wani, Director ICRISAT Development Center.